Celebrate in style without the worry. I know weddings can be quite stressful, so no need to make any special arrangements or introduce me as the wedding magician. You can relax and enjoy every moment of your special day knowing your guests will be having fun. 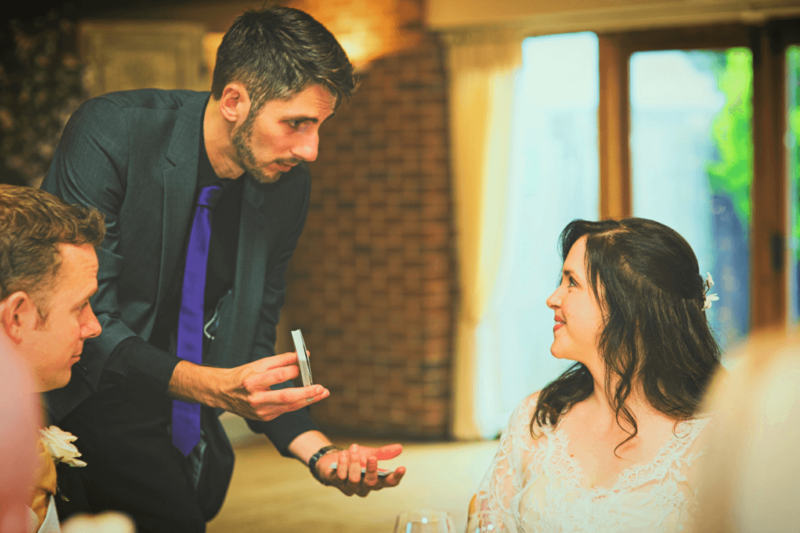 As a wedding magician my job is to keep your day flowing, ensuring you and your guests are entertained. I can break the ice, and ensure your guests talk about your wedding long after the event. The most popular times I'm booked for are; during the drinks reception when your guests are mingling, during photos being taken. During or after your wedding breakfast is also popular, where I can perform to each table at a time. Another good time for me to perform is during the evening, when your evening guests arrive, allowing everyone to witness the mind-blowing miracles to get the party started! Please get in touch to discuss when magic would work best for you and I’d be happy to tailor my services to meet your needs to ensure your wedding day is one to remember. I have worked with many wedding suppliers and would be happy to recommend those that would meet your individual requirements. Whilst you are having your photographs taken, Kev G can mix and mingle with your guests ensuring that they feel immediately welcomed and involved. Kev G will visit each table of guests before or after the meal, performing magic with maximum impact making an exciting conversation starter. 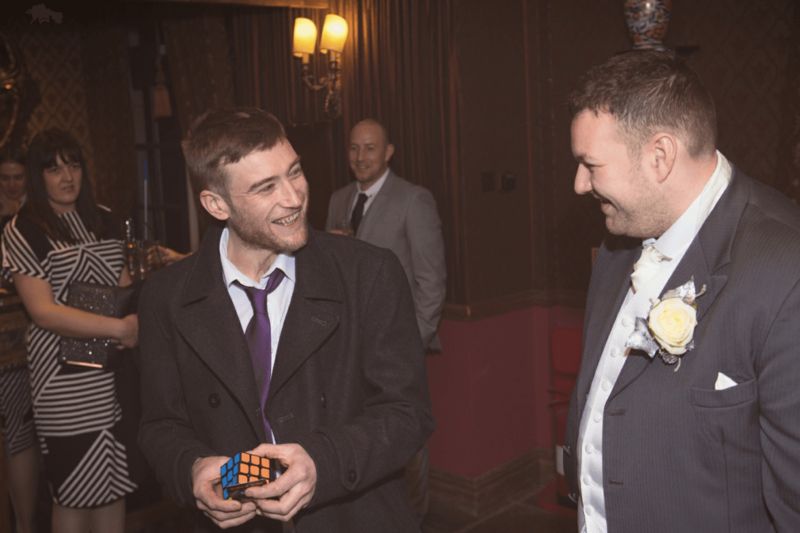 Kev G will walk amongst your guests entertaining small groups with very visual magic. No matter how hard you look, it is impossible to see how the magic is done! As well as dazzling your guests, Kev G will have something 'special' reserved just for you. 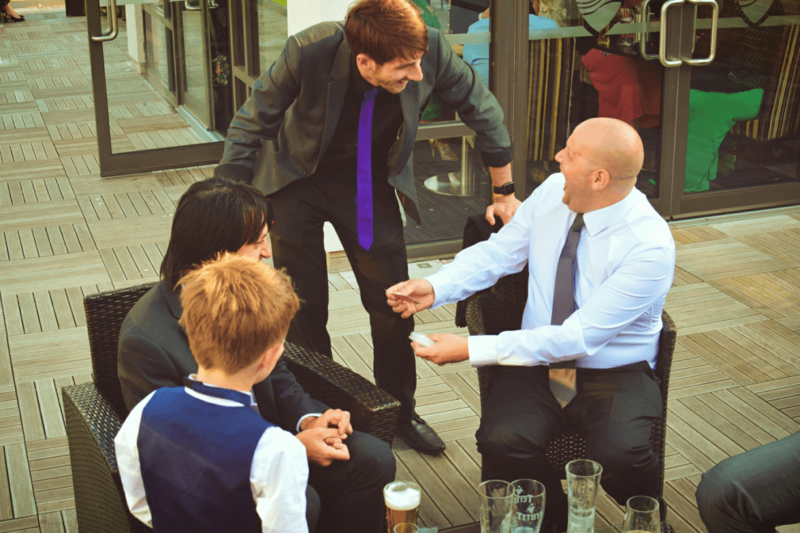 Kev G's magic will bring your guests together and create a real buzz. [dropcap]A[/dropcap]dding entertainment to your special day is a really important aspect, but is often overlooked. Kev G can lift the atmosphere and help make sure everyone has a great time. [dropcap]B[/dropcap] ecause weddings involve a lot of people coming together for the first time, Magic is the perfect ice-breaker instantly providing a topic of conversation for your guests. [dropcap]C[/dropcap] reate natural moments your photographer will love. When watching Kev G perform your guests will be relaxed and engaged, providing perfect photo opportunities.